Data storage provider NetApp Inc. (NTAP) is scheduled to report its earnings for the third quarter on Wednesday after the market closes. Investors will be looking for strong product revenues as well as a rise in revenue from strategic product and higher mature product revenues. Cloud data management remained the key to the company’s performance for the third quarter. The hybrid cloud data services provider’s results will be driven by software maintenance and hardware maintenance apart from the strategic product and mature product revenues. On a geographic mix, the majority of the revenue is expected to come from the Americas as Americas Commercial provided a large share in the revenue accumulation. In addition, the results will have a growth in all-flash array annualized and cloud data services net revenue run rate. The product revenues growth is likely to be driven by the popularity in the storage area network, which is backed by the company’s expertise in the all-flash array business. The all-flash array business segment will be benefited by the synergies from strategic enterprise agreements. Analysts expect NetApp to post earnings of $1.15 per share on revenue of $1.6 billion for the third quarter. In comparison, during the previous year quarter, the company reported a profit of $0.99 per share on revenue of $1.52 billion. Majority of the analysts recommended a “strong buy” or “buy” rating while expecting the stock to reach $84.05 per share in the next 52 weeks. The key catalyst behind the growth in Enterprise License Agreement wins has been the company’s transition to the software-defined approach to data management. The top line is likely to be driven by the rising momentum of its hyper-converged infrastructure solutions from enterprises undergoing the digital transformation. Investors remained concerned about the company’s hurdles such as falling revenue from the original equipment manufacturer, and tough macroeconomic scenario. The hurdles also include the competition from HP Inc. (HPQ) and International Business Machines (IBM) in the storage area network market. In the second quarter, the data storage provider posted a 39% jump in earnings helped by strong product revenues. Revenue rose 7% on higher revenues from strategic product and from the mature product. Americas Commercial contributed a large share in the revenue accumulation from the Americas region. 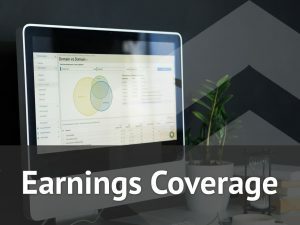 For the third quarter, the company had expected net revenues in the range of $1.55 billion to $1.65 billion and its earnings in the range of $0.96 to $1.02 per share. Adjusted earnings were predicted to be in the range of $1.12 to $1.18 per share. Shares of NetApp opened neutral and turned positive on Monday but is now trading in the red territory. The stock has risen over 17% in the past year while it has fallen over 19% in the past three months.